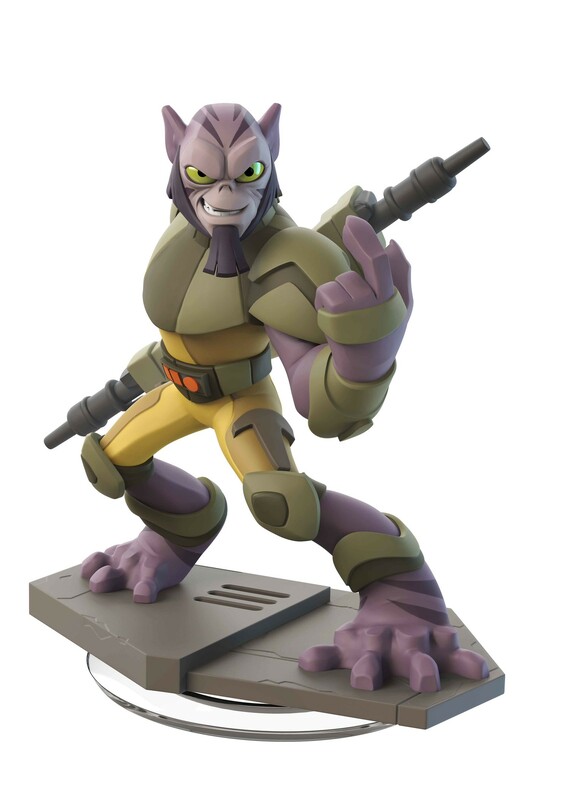 Disney Infinity is STACKING the upcoming 3.0 toy box with so much awesome, it boggles the mind. 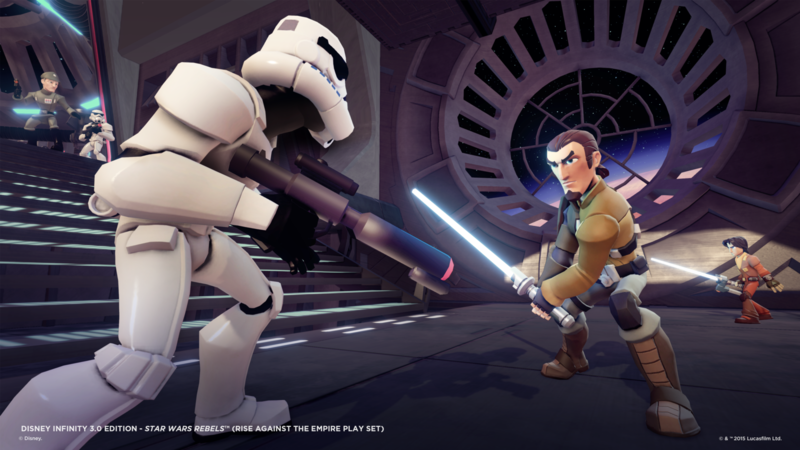 Previously we shared the news of the Pixar’s Inside Out, Star Wars: Rise Against the Empire and Star Wars: Twilight of the Republic sets all coming to the much anticipated updated edition and today we get to show you even more. 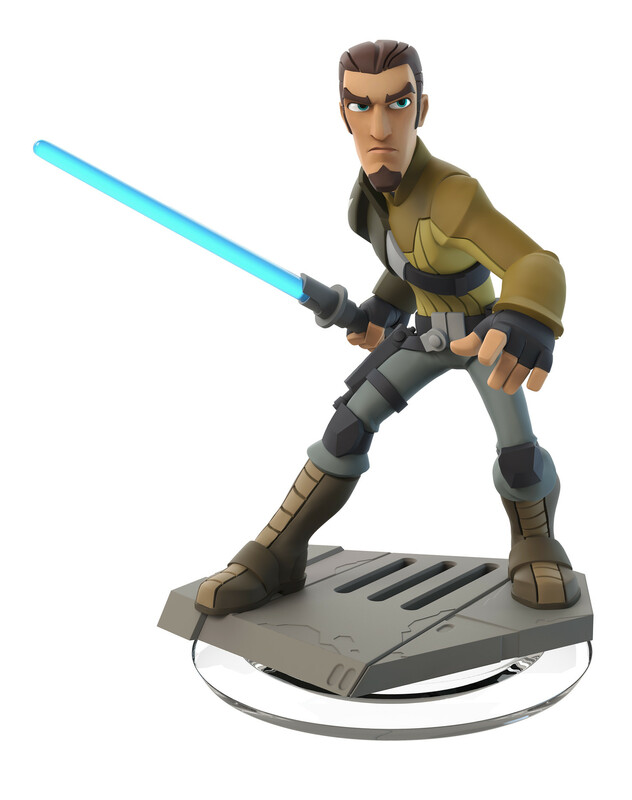 KANAN JARRUS – Jedi turned rebel fugitive, Kanan Jarrus leads his team in secret operations to help overthrow the Galactic Empire. 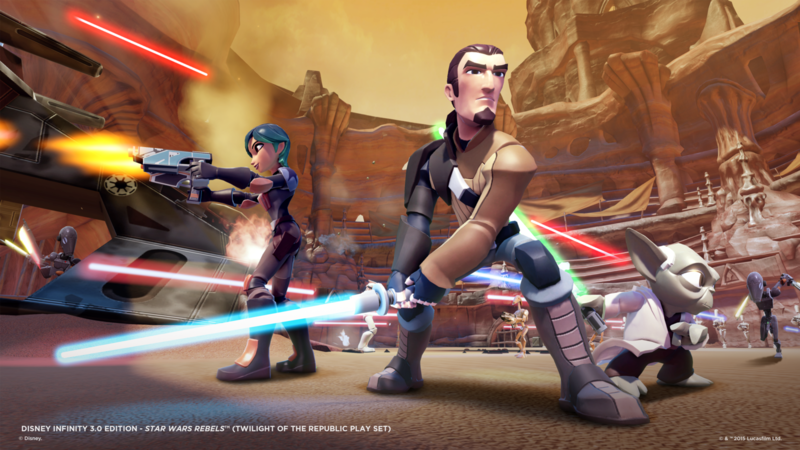 He defends the innocent with his blaster and Lightsaber™ and guides his Padawan, Ezra, in the ways of the Force™. 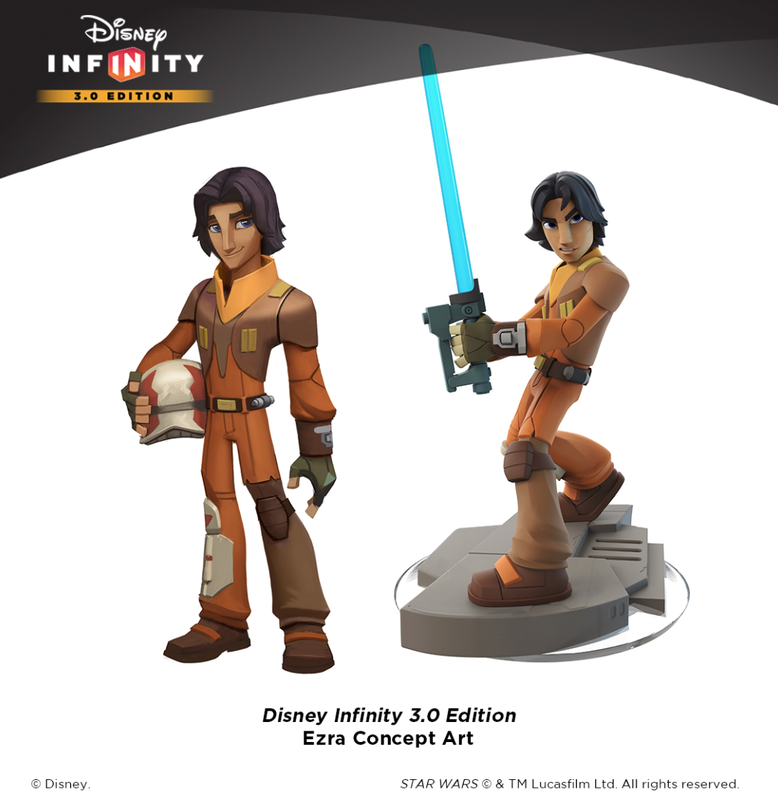 EZRA BRIDGER – Growing up on his own, Ezra Bridger relied on his street smarts – and subconscious Force abilities – to survive on Lothal. That changed when he met the Ghost crew; Ezra came to believe in their cause, and with the help of Kanan, began to learn the ways of the Jedi, using his custom Lightsaber to undermine the Empire and inspire the rebels. 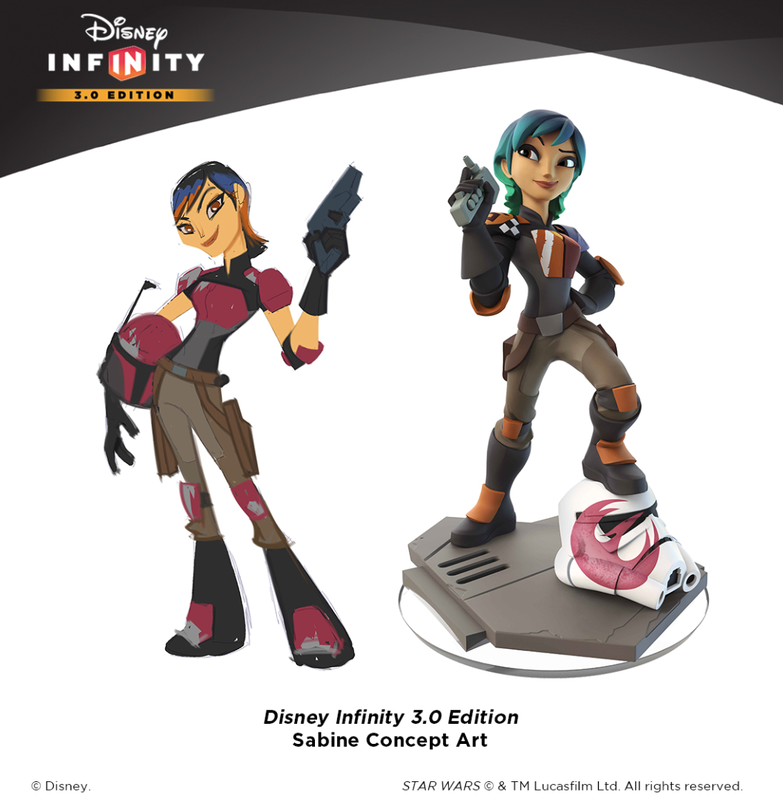 SABINE WREN – Sabine Wren has explosive talents for art and demolitions alike, and she won’t hesitate to use them against the Empire. 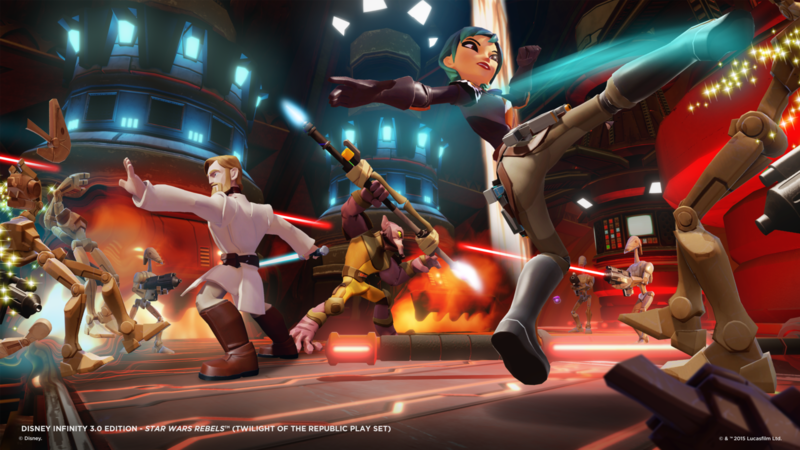 She can stealthily approach and sabotage the enemy or stand alongside her rebel allies to lend her twin blasters to the cause. ZEB ORRELIOS – Zeb Orrelios is as strong a brawler as he is headstrong. He stands alongside his fellow rebels with his bo-rifle in hand, ready to take on the Imperial forces. 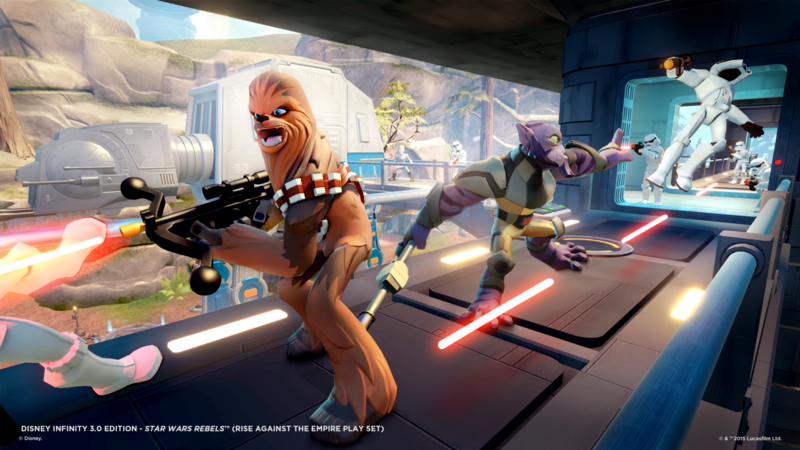 The Disney Infinity 3.0 Edition Starter Pack, rated E10+ by the ESRB, will be available this fall for $64.99 and includes the Star Wars™Twilight of the Republic Play Set, the Disney Infinity 3.0 Edition Base, Ahsoka Tano and Anakin Skywalker character figures, and a web code card that unlocks content for PC and mobile devices. 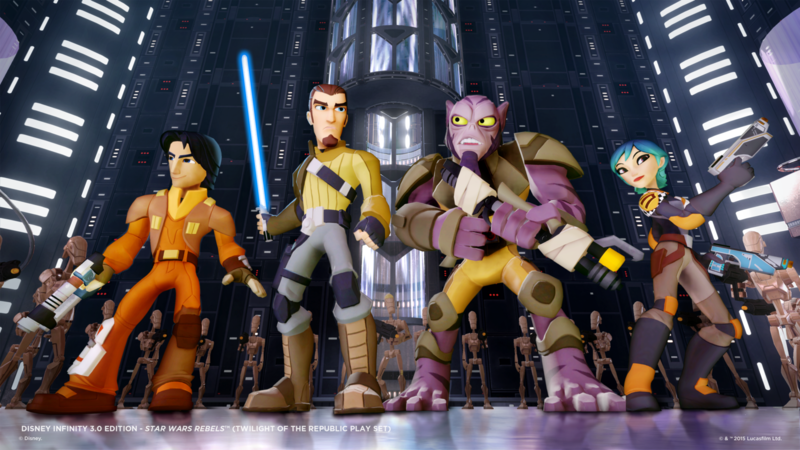 Star Wars Rebels Season Two premieres Saturday, June 20th (9:00.m. ET/PT) on Disney XD. Check out the trailer for season 2 and we DARE you not to get hooked. 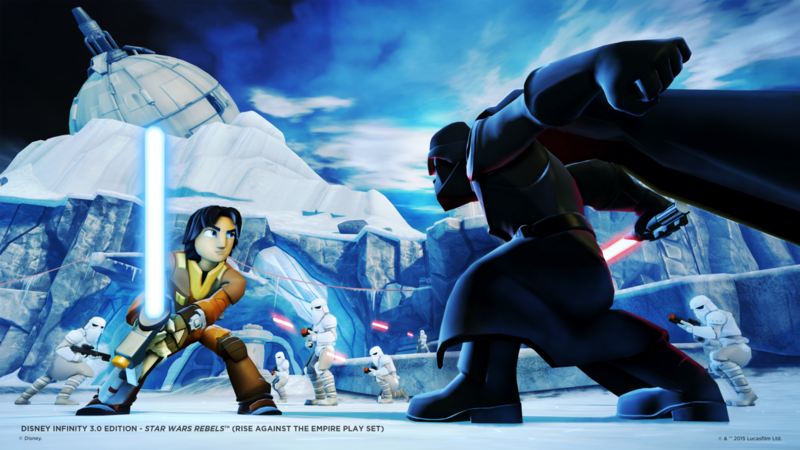 This entry was posted in Collectible, DISNEY, Star Wars, Toy, Trailers, Video Games and tagged Disney Infinity, Disney Infinity 3.0, Ezra Bridger, Kanan Jarrus, Sabine Wren, Star Wars, Star Wars Rebels, Zeb Orrelios. Bookmark the permalink.